Remember last weeks strawberry pie? Me too. This is the little sister to that pie. It has less steps and no fresh fruit, but it will still be the pie of your dreams and will still completely ruin the white shirt you decided to wear when you made it. Also, you can eat it for breakfast and not feel too bad about yourself. It's pie, yes, but full of fruit!! To make this pie, I used the same recipe I used for the strawberry pie, but with a few changes. I know I said that next time I would make a cookie crumb crust, but I didn't because I had another pie crust to use up. Those ones I buy at Whole Foods come in two packs, and I couldn't leave that poor crust to just sit in my freezer forever. It takes up a lot of room, plus we are moving soon. I'll make it with a cookie crust later, promise. 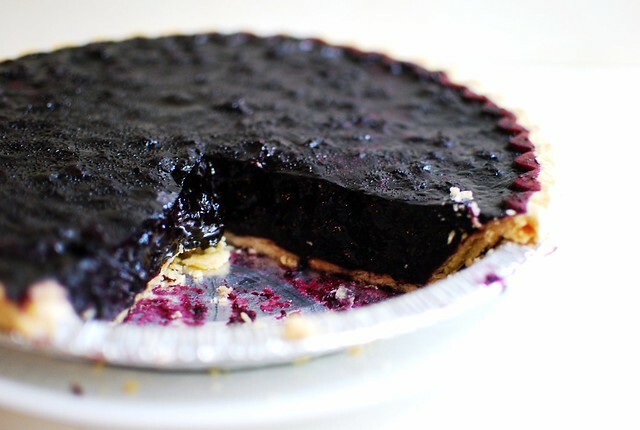 When I Googled 'blueberry icebox pie' I came up with a bunch of recipes that were the opposite of what I wanted. Most of them were for a gross looking cheesecake-y concoction with gelatin and blueberries and low fat cream cheese. I just wanted a blueberry pie I didn't have to bake! All the ones I found that didn't use cream cheese used cornstarch instead, which a) I am out of and b) I wasn't convinced I'd get a firm enough pie. 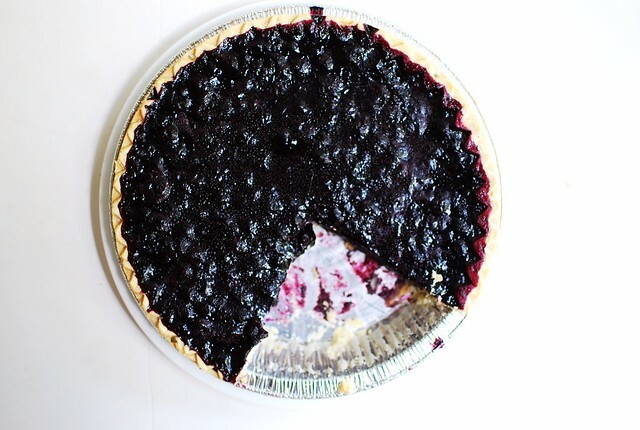 I wanted to be able to cut a slice, and then not have to scoop out all the filling that oozed off the pie server. This is firm, but not 'ew I'm eating gelatin pie' firm. The texture isn't weird, I promise. It's delicious. Cook the blueberries until they're reduced to three cups, over medium heat, stirring a few times. This will take about half an hour or 45 minutes, I lost count. Once that's done, add sugar and salt to the blueberries in the pan. In a small bowl, combine the lemon juice and water, then stir in the gelatin until it starts to thicken a bit. Stir that into the blueberries, and bring to a simmer and cook for a minute or so. 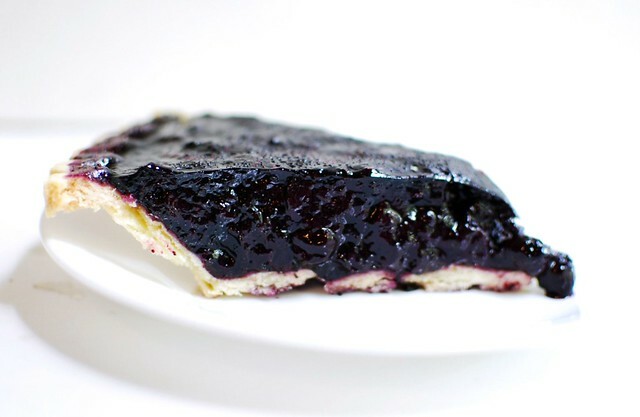 Pour the blueberry mess into your waiting pie crust, and stick the pie in the fridge for a few hours. This is a good pie to make right at bedtime because then you wake up and it's firmed up enough and you can eat it for breakfast. You could even stir it into your breakfast yogurt like Alex did. I love the use of gelatin in this recipe. It took me a while to cotton on that gelatin works really nicely to bind pies without making them taste like, well, jello. Also, stirring it into yogurt is going to be the bomb. Excellent recipe. Looks divine. I LOVE blueberries. Now I'm going to find out if you can use the recipe with cherries. The canned sour pitted kind. I'll let you know how it turns out.